If you’ve read about phenylethylamine, you’ll probably already know that it has a fairly short-lived effect. Taking PEA on its own, you can expect to feel effects for around 1-2 hours. This is why people often look for PEA stacks and how to take PEA with other supplements. We’ve outlined five of the most popular stacks that people ask about. Some of them work wonders and produce euphoric, long-lasting effects. Others, we recommend avoiding. Please read through this list of top phenylethylamine stacks before deciding on your own supplement combination. If you’re taking PEA, you may be tempted to try Phenylethylamine with alcohol. Although this stack isn’t dangerous, it’s not particularly useful. Alcohol diminishes the effects of PEA, so you won’t really get much out of using this stack. In fact, scientists have a theory that alcohol activates certain MAOB enzymes, which deplete natural Phenylethylamine stores. Some of the effects of alcohol are thought to be caused by the decreased levels of PEA. Find out how Phenylethylamine works! Phenylethylamine with Hordenine is a great stack! Hordenine is a natural stimulant derived from the bitter orange fruit. The great thing about Hordenine is that, like PEA, it is also broken down by the MAOB enzyme. This means that taking hordenine with PEA prevents the PEA from being metabolized for a while, giving you a longer phenylethylamine experience. We recommend taking a Hordenine dose around 20 – 30 minutes prior to taking your PEA. This allows sufficient time for the hordenine to bind to MAOB enzymes before you take PEA. Caffeine with phenylethylamine is another great stack. This powerfully stimulating stack will provide a serious boost in energy and focus. Caffeine is a strong stimulant on its own, and when combined with PEA you often get a euphoric combination. One thing to watch out for in a phenylethylamine with caffeine stack is over-stimulation. Both these substances provide energy and stimulation so taking them together in high doses could cause some side effects. Luckily, though, PEA is broken down very quickly so the effects won’t last very long. 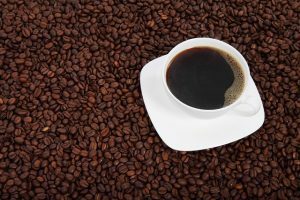 However, if you are going to try the phenylethylamine with caffeine and hordenine super-stack, we suggest that you use lower doses than normal to be on the safe side. This stack gives the energy of caffeine and PEA along with the significant mood-boost of PEA and hordenine, over a few hours. In fact, taking PEA with MAOIs could result in a PEA overdose. We highly recommend consulting your physician before attempting to take phenylethylamine with MAOIs. Read through the top five questions about PEA. Taking phenylethylamine with SSRIs is another potentially dangerous stack. SSRIs (selective serotonin reuptake inhibitors) are also powerful antidepressants. These potent and serious substances have a host of side effects. Taking phenylethylamine with SSRIs is not recommended. Some preliminary research has pointed to PEA as a potentially safer alternative to SSRIs. Phenylethylamine is a strong stimulant and natural mood enhancer. It can be used in combination with a number of other dietary supplements to improve and lengthen its effects. However, there are some substances that are not safe to combine with PEA.